Great units for sale at Ultima at Broadway at 4968 Yonge Street and 4978 Yonge Street in North York. . Prices start at $220,000. We are giving away a Free Home Warranty Certificate to the first 100 people!! Categories: North York Condos | Tags: ., 4968 yonge street, 4978 yonge street, north york condos | Permalink. Excellent units for sale at Ultima at Broadway. Prices start at $330,000. 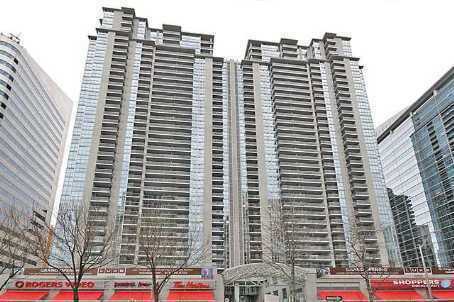 Categories: North York Condos | Tags: 4968 yonge street, 4978 yonge street, north york condos | Permalink. Ultima at Broadway is located in the Yonge Street corridor in between North York Subway Station and Sheppard Subway Station. It is one of the few condominiums with a direct underground pathway to the subway station. Amenities include a fitness centre, aerobics room, indoor swimming pool, sauna, billiards room, outdoor terrace, party room and a meeting room. 2 Guest suites are available for visiting guests. 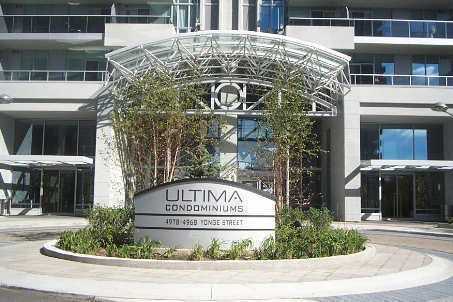 Ultima at Broadway – Available starting price and Average Condo Price in 2011. One Bedroom units starts at $275,000 for sale with a $279,700 average price for the first quarter of 2011. One Bedroom + Den units start at $319,000 for sale with a $321,600 average price for the first quarter of 2011. Two Bedroom units start at $369,900 for sale with a $353,800 average price for the first quarter of 2011. Two Bedroom + Den units start at $428,800 for sale with a $493,300 average price for the first quarter of 2011. Three Bedroom units start at $479,000 for sale with a $567,600 average price for the first quarter of 2011. Categories: North York Condos, Real Estate Articles | Tags: 4968 yonge street, 4968 yonge street condos, 4978 yonge street, 4978 yonge street condos, first time buyers toronto, kirby chan keller williams, menkes condo, north york condo prices, north york condo trends, north york condos, toronto condos for sale, Toronto homes for sale, ultima at broadway, www.realter.ca, www.realtor.ca | Permalink. Ultima at Broadway is located on the West side of Yonge Street in between Sheppard Subway Station and North York Subway Station. There is an underground pathway to the subway station. I lived in this building when it was brand new and i had no complaints. My wife and I moved out after a year because we quickly outgrew our cozy 540 sq. ft. one bedroom unit. Amenities include an indoor swimming pool, sauna, fitness centre, aerobics room, billiards room, outdoor terrace, party room and meeting room. 2 Guest suites are available for visiting guests. One Bedroom units start at $226,900 for sale and $1,300 for lease. One Bedroom + Den units start at $269,000 for sale and $1,400 for lease. Two Bedroom units start at $320,000 for sale and $1,650 for lease. Two Bedroom + Den units start at $379,900 for sale and $2,000 for lease. Categories: North York Condos | Tags: 4968 yonge street, 4978 yonge street, first time buyers toronto, forest hill real estate, menkes condo, north york condo prices, north york condo trends, north york condos, toronto condos for sale, Toronto homes for sale, ultima at broadway, www.realter.ca, www.remax.ca | Permalink.